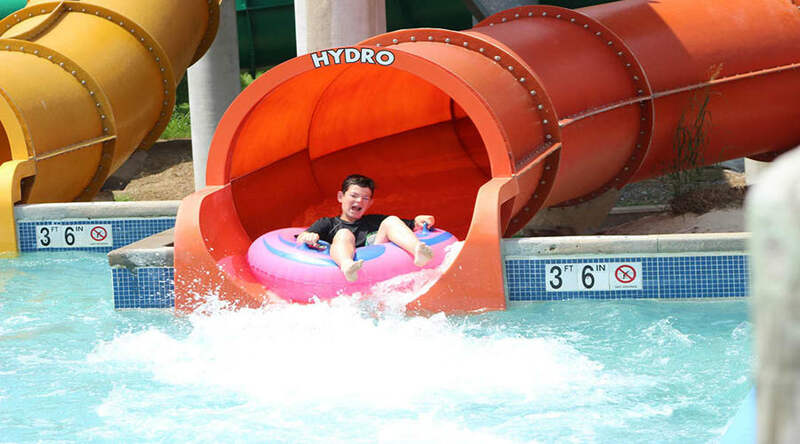 Plunge down Coastline Plunge℠ - Hydro water slide and experience a thrilling course of open-air slides, dark tunnels, and back-to-back serpentine curves on a 1 or 2 person inline tube. Get ready to get soaked by water curtains and a final splash pool exit. Splash pool depth is 3.5 feet.